I will be adding the prophecies as and when feasible in sha allah, so this document will not be restricted to a few lines or few books. As and when i read or come across any such scientific miracle or prophecy that has been discovered will In sha allah be added step by step gradually. The prophecies of Muhammad (s.a.w) are too numerous to collect and present all of them here. So what i've decided to do is mention only a few. (2) Prophet Muhammad prophesied the Battle of the Confederates (al-Ahzab) would be the last invasion the tribe of Quraish (the pagan Meccans) would launch against the Muslims. It was fought in the fifth year of migration, 626 CE and was the last military conflict between the two sides. All Meccans embraced Islam after a few years. Hadith: “The last Hour will not come unless the land of the Arabs once again becomes (1) meadows (2) and rivers.” (*). Reported by Muslim, (3)Ahmad (4), Ibn Hibban (5), and Al Hakim(6), from Suhayl ibn Abu Salih, from his father, on the authority of Abu Hurayrah that the Messenger of Allah (may the peace and the blessings of Allah be upon him) said: “The Last Hour will not come before wealth becomes abundant and overflowing, as much as a person will take Zakat (charity)out of his property and cannot find anyone to accept it from him and till the land of Arabia once again becomes meadows and rivers.” This version was narrated by Muslim, but the point of reference is same in the version of others. Were the countries of Arab orchards and rivers? Sheikh asked: When was that? He answered: It was during the ice age that passed by the land, because the ice piles up in the Arctic pole and then it slides towards the south, when it approaches the Arabian Peninsula, relatively closer, the phenomenon of weather change is natural, So the Arab countries will have in future gardens and rivers more than any country in the world. Sheikh asked him: Are Arab countries going to be changed into orchards and rivers? He answered: Yes, this is a scientific fact. Sheikh was surprised by his answer that it was a scientific fact despite it is an issue related to the future. He answered: Because, the ice age has begun actually, the snow is creeping from the Arctic pole to the south again on its way to near the territories of the Arab countries. And he added: One of our evidence on this reality is what you hear about the snow storms which strike every winter the northern cities, in Europe and America. It is among the evidences of those scientists on this reality. In Addition to this, they have other great evidences for this scientific fact. 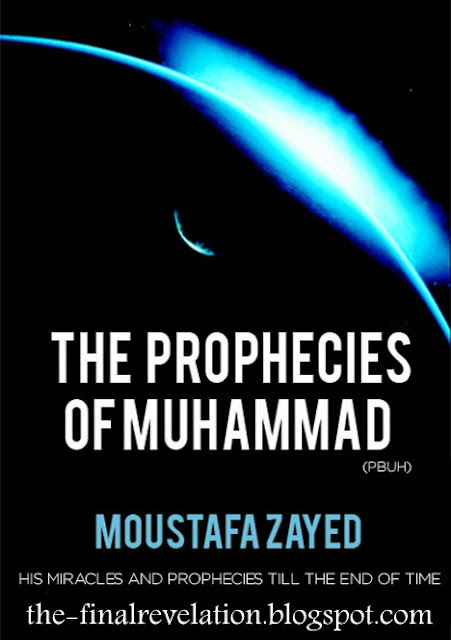 Sheikh told him: What you have mentioned was not discovered by scientists but after the long series of studies after they used complicated machines that facilitated them to achieve such results, but we found this mentioned in the words of the unlettered Prophet Muhammad (may the peace and the blessings of Allah be upon him) before 1400 year. Then Sheikh mentioned the Hadith and asked him saying: Who told the Prophet Muhammad (may the peace and the blessings of Allah be upon him) that Arabia was going to be once gardens and rivers. Professor Kroner replied immediately and said: Romans. Sheikh realized Professor Kroner’s ability to escape from complicated questions; so he thought to ask another question and said: who informed the Prophet Muhammad (may the peace and the blessings of Allah be upon him) that Arabian peninsula will become meadows and rivers in future? Professor Kroner used to escape whenever he was embarrassed, and if there was a chance to escape, but if there was truth he was brave enough to announce his opinion frankly. Furthermore, this Hadith was quoted by `Abdul Majid Az-Zindani, Mustafa `Abdul Wahid, and Alison Palmer (11) in their research entitled (Geological Concepts - Ideas - in the Qur'an and the Prophetic Hadith) (12), where they said: "Perhaps the most surprising fact is the reality that was stated in the Dignified Hadith." Then they mentioned the Hadith and said: "The geological and archeological evidence that proves that the Arab countries were green in past and will return to it, is an idea that did not appear but merely since a century. Is it possible for Prophet Muhammad (may the peace and the blessings of Allah be upon him) to discover such information by his own mind and personally? The scientist "Palmer" answers to this question saying that it is absolutely impossible for many observations to approach such findings; as it requires a very advanced understanding of the natural history. Then he added that returning of Arab lands to meadows and rivers is a matter that could not be concluded through the inherited information of past, indeed it is impossible, and there is no logical and clear explanation for returning Arabian Peninsula to better weather conditions. "End of quote. (1) The Arabic word ‘`Aad’ means to return and it has many sorts of uses in Arabic language, for detail see, the dictionary, Lisan Al `Arab, and Mo`ajam Al Wasit. (Alphabetic order of: A, W, D. ). (2) The Arabic world mentioned in the Hadith ‘Al Marj’ denotes a tract of grassland used as pasture for the animals. Mo`ajam Maqayis Al-Lughah (5/315). And An-Nihayah,(4/315) explains that Al Marj is the vast land, with many sorts of plants where the animals can graze the grass freely. (*)Innahul Haq or ‘This is the Truth’ p (31). (3) Sahih Muslim - Book of Zakat – Chapter: Exhortation to give charity before the day when no one will accept it. (2/701)This Hadith was mentioned after the Hadith No. 1012, Method of the editor is to mention the first number of Hadith on every place it was repeated, and he put No. (157) in the first place but the first place under No. 157 dose not contain the words referred by the writer. (5) Al Ihsan (8/247 Hadith No. 6665). (7) Professor in Arabic is called Al Ustaz. (8) Sheikh said about him: “He is the most famous scientists in the world in geology, known among scientists, through his critique of the theories. See ‘The book Innahul Haq’ p (28). And Sheikh mentioned in some lectures that he is a German scientist specialized in Arabian peninsula and the land of Africa. (9)-Sheikh has pointed out in some of his lectures, that this interview took place in the School of Earth Sciences at the University of King Abdul Aziz in Jeddah. (10) This dialogue was mentioned by Sheikh Az-Zindani in many of his lectures, then in his television program entitled (Innahul Haq or ‘This is the Truth’). Afterwards it was published by the Board of scientific miracles in a small booklet. This dialogue was mentioned on page No. (30-32), and was quoted by Dr. Mamun Shaqfah in his book (The Resolute Place of Resting) (11) and by Sheikh Ash_Sh`arawi in his book (Physical Evidence on the Existence of God, p 114 115), and Mahmud Mahdi Al Istnabuli in his book (Scientific Miracle of Qur’an) (p. 187-189). (12) Of the most famous geologists in the United States, he was Chairman of the Committee, which supervised the centennial celebration ceremony of the Geological Society of America. (Innahul Haq or ‘This is the Truth’) p (68). (13) Research of the first World Conference for the scientific miracles in the Qur’an and Sunnah - Islamabad – Pakistan. (P. 11.12). (14) In a lecture entitled (Scientific Miracles in the Qur'an) in Abha Literary Club, No. (8962/2) in the recordings of At-Taqwa.